I would go on a trip to Peru in South America and visit Machu Picchu a destination on my bucket list. This looks like an breathtaking destination with such an incredible history. I have only dreamed about seeing it with my own eyes but hope to make this a reality in the near future. What’s your day job and how does it link with or fit around blogging? I am currently a University Student with a year and a half left to go. This works quite well as I usually have time during the week to fit blogging around my studies and plenty of holiday time to travel around the world at every opportunity. Which blog really inspired you to take up blogging? I was inspired to start my own blog by someone I met while travelling around Australia. She is a Norwegian blogger who writes about fashion and travel as the “Living Doll”. Through the blog she has been able to travel the world for a living which for me would be a dream come true. What was your happiest memory from the past year and who were you with? My happiest memory was hands down traveling to Utah and Colorado, USA with my boyfriend Tom. 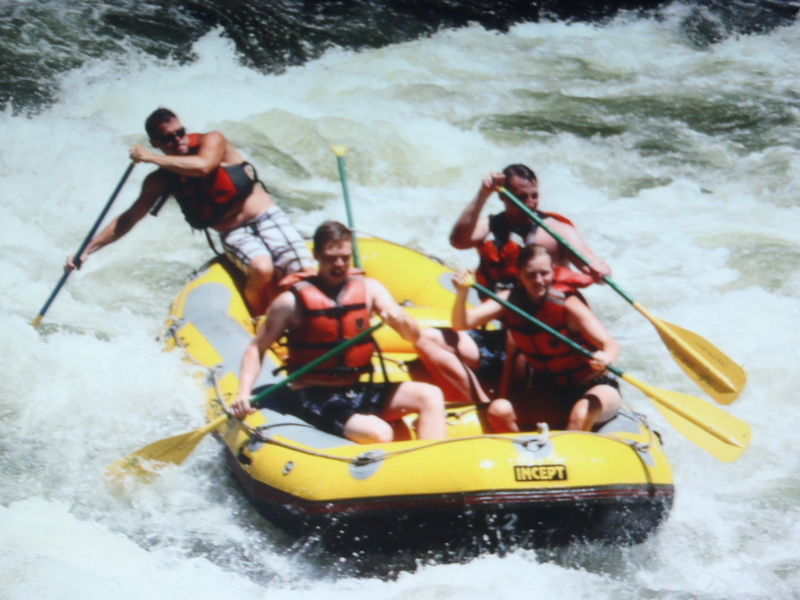 They were both incredible places but the highlight had to be white water rafting in Colorado, I was slightly apprehensive at first but it was so much fun cannot wait to do it again in the future! Are you planning any trips? Where are you heading to next? Yes, in just over 3 months I’m heading to Sydney, Australia. Extremely excited!!! Will be visiting the Opera House, Blue Mountains and Taronga Zoo to name a few places. What is the worst and best thing about where you live? The worst thing about where I live Devon, England is the cold weather. Having spent a year traveling from one warm country to another it has been a real struggle coming back. The best thing has to be having Dartmoor and Exmoor national parks so close, stunning places to visit, climb and photograph on the weekend. I have many favourites but my favourite at the moment has to be The Beach by Alex Garland as it reminds me of the great adventures that can be had traveling the world. It has also inspired me to add Thailand to my bucket list. How would your dream man/woman sweep you off your feet? Never something I had really ever fantasised about but two years ago I met my boyfriend while traveling in Australia who then quit his job to go on an amazing month long road trip around Oz which I think comes pretty close to any dream of being swept off my feet. What was the best thing about the nineties? Having grown up in the nineties I would have to say the amazing children’s TV programmes like the Teletubbies! Tricky one… there have been many during my travels but one notable embarrassing moment was when I was once on a date quite a few years ago. We went for a swim in the sea but unfortunately I misjudged the strength of the waves coming in and was knocked off my feet and rolled under the shallow water appearing shortly after covered in sand. Not my greatest moment. Where did your love of travel begin? What has been your best blog post to write and why? What is your favourite destination that you have traveled to and why? If money was no object where would you go and what would you do? If you haven’t already would you give everything up to travel full time? and if you have what made you do it? Where are you headed to next and what will you be doing? What is your day job and how does it fit around blogging? The one item you cannot travel without? What has been your worst experience while traveling?